The attack was spectacular — and a dismal failure. On November 23, three Balochistan Liberation Army terrorists, armed with Kalashnikov assault rifles and explosives, parked along E-Street in Karachi and walked down the upmarket neighbourhood. One threw a grenade at the police picket outside the Chinese consulate. The attackers — Abdur Razzaq, Azal Khan and Raees Baloch — were cut down within minutes, before they could use the munitions and supplies they carried in anticipation of a drawn-out siege. Everything that could have gone wrong did go wrong. A suicide vest worn by one of the men failed to detonate. The team had failed to identify weak points in the consulate’s defences. The people they succeeded in killing were two police officers and two civilians standing outside the consulate to apply for visas. Intended to signal that the Baloch insurgency could still bite, the attack served instead as a demonstration that the teeth were blunted — perhaps even rotten. A few days later, even the mastermind of the attack, Aslam Achoo, was killed in a suicide attack, believed to have been organised by the Inter-Services Intelligence, Pakistan’s premier security agency. New Delhi is rumoured to have escalated its aid to Baloch separatists since Modi took office. Indeed, Islamabad claims. The important lesson drawn from the BLA’s recent botched moves is that armed action can achieve very little if it is not part of a coherent, well-crafted political strategy. Key to the Baloch strategy is inflicting pain on Beijing’s dramatic push into Balochistan, where it is building a strategic port at Gwadar, a host of mining projects and a network of roads linking Pakistan to China. That, Baloch strategists believe, will compel Islamabad to pay attention. Last August, the BLA blew up a bus transporting staff of the Saindak Copper Gold Project in Dalbandin, near the Iran-Pakistan border, injuring three Chinese engineers. Though the attack silenced those asserting the BLA was cold in its grave, the fact remains it is the last man standing in a seven-decade-old struggle against Pakistan government. Though its exact strength is not known, analysts believe the BLA now numbers several hundred fighters based out of the rugged Afghanistan-Balochistan borderlands. The group is the only one to survive out of the many that once operated in the region — the Balochistan Republican Army, the United Baloch Army, the Lashkar-i-Balochistan and the Balochistan Liberation United Front. Islamabad claims that the BLA is led by Hyrbyair Marri, the son of the late politician and insurgent leader Khair Bakhsh Marri, who has lived in London for many years now. Marri denies any connection to the BLA. The ongoing wave of insurgency was born at the beginning of the past decade and spiralled after the death of Nawab Akbar Khan Bugti, a prominent tribal politician-turned-insurgent who was killed by President Pervez Musharraf’s troops in 2006. The killing marked the birth of a new kind of revolt; a turning point in the history of the Baloch insurgency. The older insurgent groups, led by tribal leaders, were joined by a new youth cohort, often from backgrounds with no status in the traditional tribal system. A new generation of educated youth from established families appeared. Socially active and concerned with human rights, they were enraged at the exploitation of local resources and the ferocious repression to which the region has been subjected to. These youths grew up in the time of ‘The Terror’— General Musharraf’s savage campaign against Baloch insurgents — and their entire lives had been lived in the shadow of warfare. The new insurgents were no longer only from the families of the great tribal chiefs. Some were middle class and had gone to school, some even to university. The sons of the old tribal leaders, as well as the region’s hereditary ruler, the Khan of Khalat, were forced to escape and live abroad in exile. 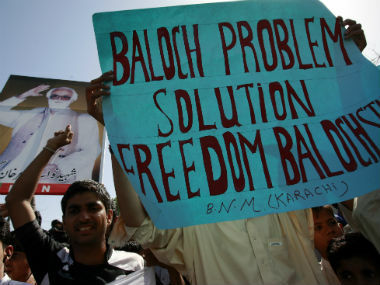 For Baloch politics, these developments were seismic. Once respected hierarchies, customs, norms and values that bound the fabric of political life, were no longer valid, at least not for everybody. Leaders of the insurgency’s other great strain, Marxism, were also marginalised. The ideology itself died across the world and many of its leading exponents passed on. Put simply, the fathers of the Baloch revolution are dead — and there are no ideologies or ideologists to succeed them. In the place of the old order, an ethnic-chauvinist, even xenophobic, armed revolt began to emerge. The new revolt is directed not only at the military but also at the so-called ‘settlers’ from other regions, mainly ethnic-Punjabis. It is also a revolt against the Chinese presence that has expanded with the China-Pakistan Economic Corridor, which many in Balochistan see as a colonial project. The efforts of the new generation of tribal leaders based in Switzerland and the United Kingdom — Hyrbyair Marri and Mehran Marri, Brahumdagh Bugti and the Khan of Kalat Mir Suleman Ahmedzai — are focussed on raising awareness about the human rights situation in Balochistan, where extrajudicial killings and illegal detentions are rampant. “At the moment,” a prominent Baloch activist says, “we can divide the people who want a Free Balochistan in two parts: one are the activists and groups who are organising peaceful rallies and talking internationally about the Baloch plight. The second is a small part, these are little groups which believe that the pain they faced because of Pakistan’s atrocities could only be healed by violent means.” Pakistan has responded to this campaign by trying to define the Baloch movement as a group of terrorists ready to target not only military but also innocent people. For some Baloch activists, the attacks against the so-called “settlers” and other ethnic groups are not the work of Baloch nationalists at all but an example of the old Roman “divide and rule”: setting the people of the region against one another. It is not easy to judge the legitimacy of these claims but the fact is Balochistan has descended into a Hobbesian state of nature — with every ethnic group and tribe at each other’s throat. The only winner has been the Pakistan army. In exile, the Baloch élite has proved singularly ineffective at framing a common strategy and liaising among themselves as well as the leaders on the ground. The lack of a single leader, recognised at least by a wide majority as the official Baloch representative, negatively impacts any kind of action at world stage and on the ground. For Pakistan, it has become easier to maintain that there is no civil war in Balochistan, that the rebels are merely a handful of troublemakers. The Baloch leadership’s problems have been compounded by sustained pressure on European governments by Beijing to deny them space to mobilise. In 2017, Brahumdagh Bugti and his lieutenants Sher Muhammad Bugti and Azizullah Bugti were reported to have sought Indian citizenship. Brahumdagh Buti fled to Afghanistan and lived there from 2006 to 2010 with Indian assistance before leaving for Switzerland with his family. India, though, has wisely chosen not to endorse Bugti’s citizenship bid, understanding that it will delegitimise the Baloch struggle in the eyes of ordinary Pakistanis. Nobody can predict what will happen in the coming years or even months. In Balochistan, there have been too many players in the game: the State, the tribal leaders, the ‘enforcers’ employed by intelligence services, the armed forces and the Chinese. Then, there are the jihadist Taliban brought into the region by the army as proxies, ethnic Pashtuns who are revolting against Islamabad and various local terrorist groups regarded as strategic assets by Pakistan. Balochistan is of fundamental strategic and geo-political importance not only to Islamabad and to the Chinese CPEC project but to the many other players in the region. Baloch leaders should keep in mind that for all the players dealing with a single referent, even an ugly one like Islamabad, is easier than dealing with a handful of tribal leaders or political parties.